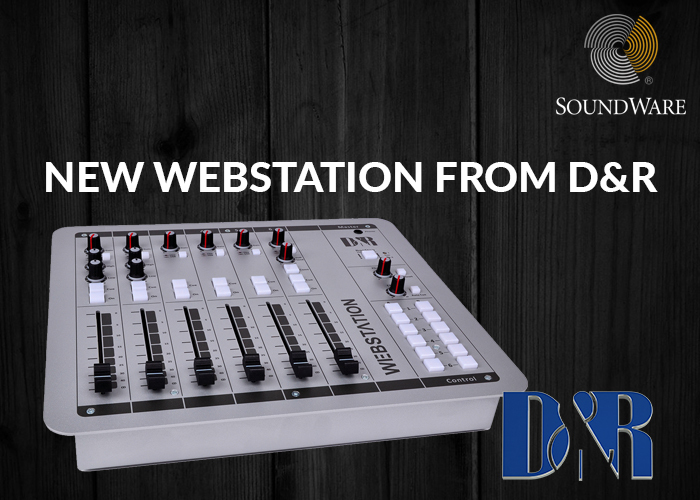 With the Webstation you can now own a modern broadcast mixer for a very attractive price. This new and handbuilt piece of precision equipment is built around proven low noise circuitry. It is an intelligent mixer with an internal USB control section that comfortably enhances daily use and even has a built in silence detector. It is a reliable workhorse for the self-op production D.J. There is a built in Telephone VOIP functionality, 3 in/out channels of stereo USB and 2 very low noise Mic inputs. The WEBSTATION is ideal for ON-AIR, Production work and perfect for streaming to the web. The WEBSTATION accepts and instantly controls a maximum of 3 in/out stereo channels from your Play-out software. It is built into a heavy duty metal RF shielded chassis. Easily “drops” into your furniture to give that exciting radio look. Built with a strong powder coated front panel for durability and it is the result of more than 466 years of experience at D&R.